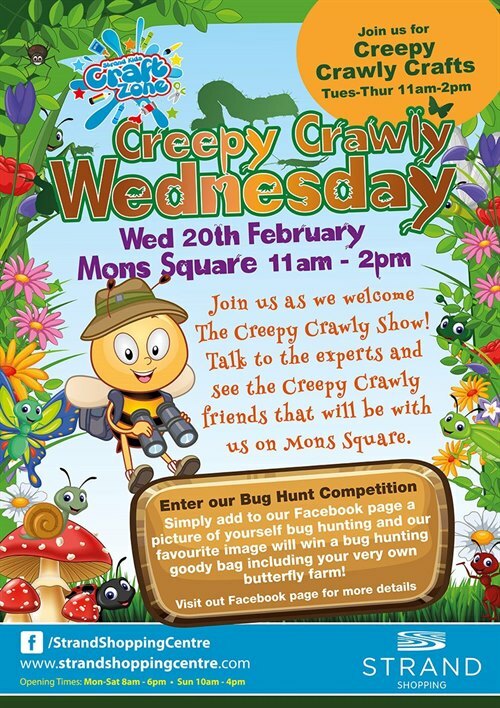 Join us for as we welcome the Creepy Crawly Show this February half term on the 20th of February from 11am - 2pm. We will be making creepy crawly crafts all week too as our craft zone opens 11am - 2pm Tuesday 19th - Thursday 21st of February. Pop down for free family fun and see the creatures from The Creepy Crawly show this February Half term!